I was the last seller working for the company that bore the name of “Coupleux Milleville” in 1994. It was also in the same store I bought my first MOOG synthesizer in 1974. 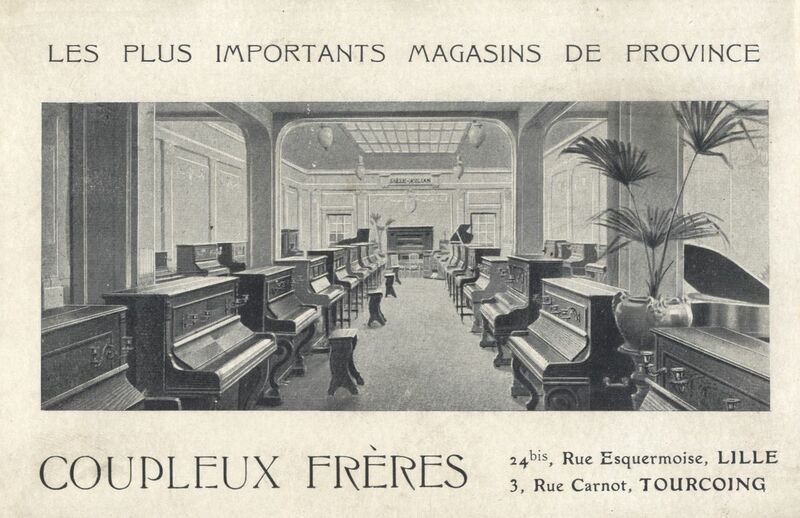 “Coupleux – Milleville” was the largest in Europe keyboards store in the 70’s. Young around 1968, I loved listening to the latest innovations presented by virtuoso demonstrators on Lille commercial exhibitions.